Our Box integration currently supports kiosk photo saves and sales data integration. 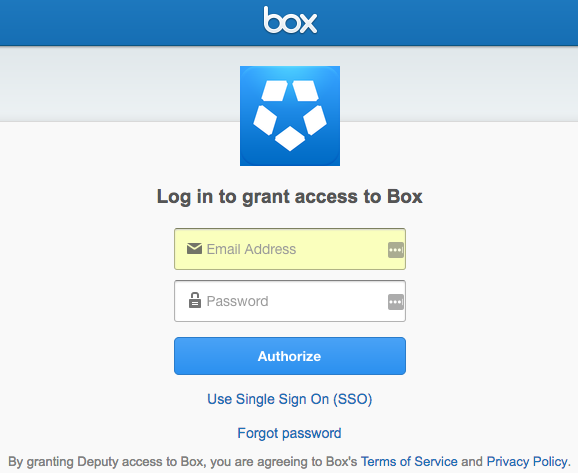 Our Box integration works much like our Dropbox integration. 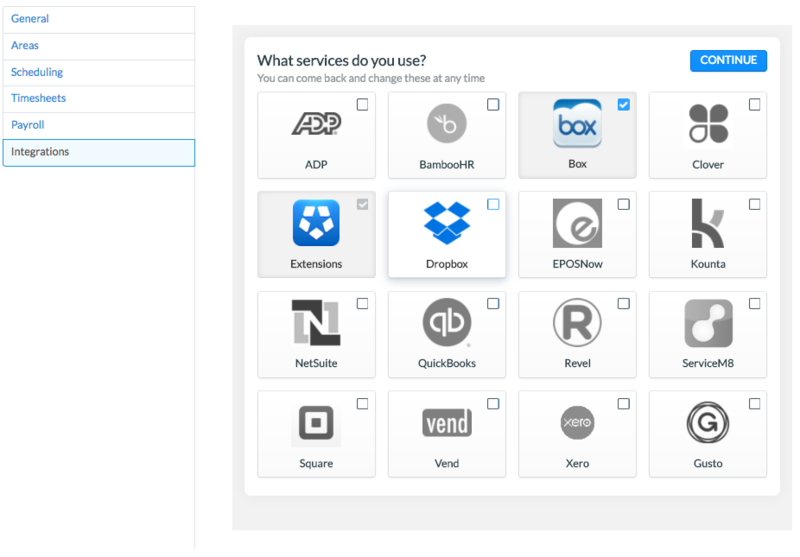 To read up on our full list of integrations, visit our integrations help article. First, navigate to the Box website to create an account. Click 'Sign Up' in the top right-hand corner to create a new account. To complete your sign-up, verify your account via the Account Verification email from Box. First, navigate to the 'Locations' page and click 'Edit Settings' on the location you would like to connect your Box account to. Now head to the Integrations tab on the left side. In the list of integrations, ensure that 'Box' is checked, as seen below, then click 'Continue'. If you are instead directed to a list of extensions and integrations, simply click 'Edit Services' at the top of the list and you will be directed to the page as seen above. Now click 'Authorize' on the new integrations in your list. When you click Authorize, a pop-up box will appear. Simply enter your credentials to confirm the connection. On the next page, click the 'Grant Access' button to confirm the connection to Deputy. This integration can serve a number of functions. 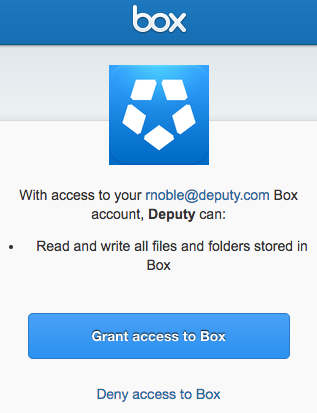 When a new Deputy Kiosk photo is taken, it will be uploaded into a folder. This can be helpful for timesheet auditing purposes. Deputy can import a properly formatted Sales CSV, which will be reflected into the graph. This can assist in effective scheduling in regards to employee cost vs sales.